Owning a CryptoCat means you have overcome hurdles with learning cryptocurrencies, tokens and digital wallets. Your cat will help you learn more about smart contracts and exploring the Ethereum blockchain. Blockchain is still quite new, so you might not find the experience easy. But that’s part of the fun and challenge. GET CRYPTOCURRENCY First, you'll need to get some cryptocurrency and the process varies a lot depending on what country you are in. You may be able to buy through MetaMask otherwise from popular exchanges like Coinspot or Coinbase. You’ll need to go through a verification process, and this sometimes takes time. INSTALL METAMASK Metamask is a Chrome browser extension that allows you to store your blockchain wallet and transact on the Ethereum platform, which is where the CryptoCat tokens live. You can download it from metamask.io. Then, follow instructions in Metamask to create an account and transfer some ETH tokens to it. GET ETHER (ETH) Ether is the cryptocurrency for transacting on the Ethereum platform. You will need to transfer ETH into your Metamask account before you can start interacting with contracts on the Ethereum blockchain. GET A CRYPTOCAT TOKEN Once you have Metamask set-up for the Main Ethereum Network and an account on the Main Net with some ETH, you can get a cat using our site. Viewing your Cat on the Blockchain Being transparent and decentralised, you can view the Ethereum blockchain directly using Etherscan, the Ethereum Blockchain explorer. When you are in google chrome and connected the Metamask, you will see a handy grey box hovering on our site in the top left. This has the link to explore transactions relating to your address through Etherscan. Image link to the blockchain Images are too big to store on the chain at this stage. 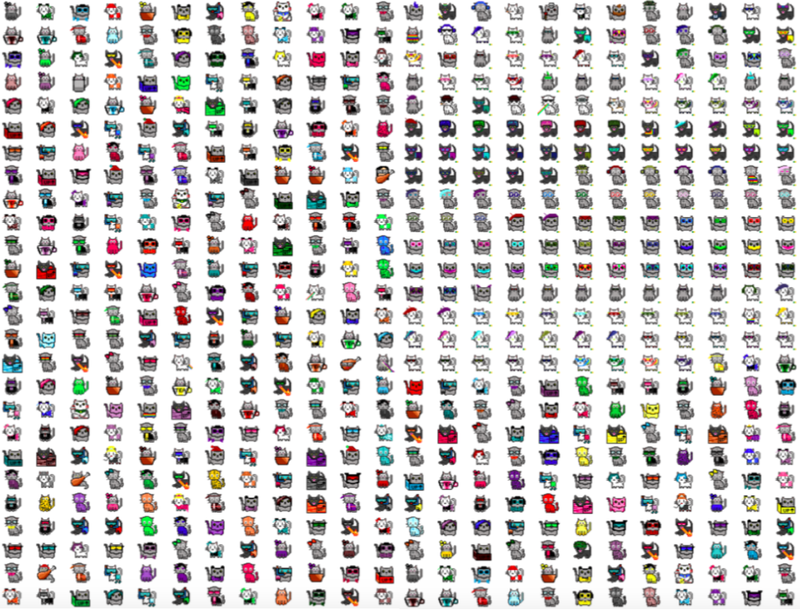 We have taken a SHA256 hash of the composite image of all the cats and the hash of that image is stored within the contract. The Fun Contract And some cats are worth fighting for, see the SavePrincessLeiaPeachRainbowVomitCatICOToken ICO created to save one very special cat and learn more about the adventures of Cat #52. Mobile functionality You can view cats and their ownership address details on our mobile site or through other browsers like Safari. Full functionality All the other functionality only works when you have Google Chrome on the desktop, with Metamask set-up. Blockchain is an exciting but emerging technology and as it evolves we include more of the available features and platforms to enhance the experience for you.